Chromebook shipment growth will be in the double digits this year, but the devices are not being used as Windows PC replacements, which is what Google had hoped for. Chromebook shipments will jump by about 18 percent this year compared to 2015, according to Mikako Kitagawa, an analyst at Gartner. It will be one of the few areas of growth in an otherwise slumping PC market. In 2015, Chromebook shipments totaled 6.5 million units, so shipments this year could be in the 7.5 million to 8 million range. About 1.65 million Chromebooks shipped in the first quarter of 2016; second quarter numbers weren't yet available. The devices, though, are still a small fragment of the overall PC market, in which unit shipments are expected to reach 290 million units this year. Outside of Chromebooks, the Windows-based 2-in-1 and gaming PC segments are also growing. Chromebooks will continue to sell well in North America, where 90 percent of the units were shipped in 2015. The second largest market was Western Europe. Chromebooks didn't do well in South America, Asia and Africa, Kitagawa said. Connectivity is a big issue in emerging markets, which is why Chromebooks are doing poorly in some areas outside North America, Kitagawa said. Chromebooks also aren't as easily available outside North America. Availability is scarce in China, which is the world's second biggest PC market, Kitagawa said. However, in a few markets around the world, like Australia and New Zealand, it appears that people are starting to understand how Chromebooks can best be used, so there's still hope for the devices outside of their current stronghold in North America, Kitagawa said. Education is the biggest market for Chromebooks, which are being bought by students and installed in classrooms. Wireless capabilities are available in most educational institutions in U.S. and Canada, and the PCs are inexpensive to purchase and easy to maintain, Kitagawa said. 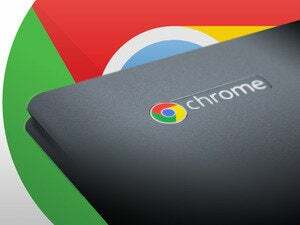 There's a massive opportunity for Chromebooks if they can make further inroads in the consumer and business markets. However, they have not yet cracked the Windows PC-replacement market. Chromebooks have caught on as low-cost, lightweight laptops designed for web computing. The laptops run on Chrome OS and have limited storage, and most applications need an internet connection. Chromebooks haven't yet caught on with businesses, which prefer Windows' ability to run offline applications, Kitagawa said. But businesses are trying to find uses for Chromebooks, Kitagawa said. Chromebooks could be effective secondary laptops or thin clients for internal cloud applications, Kitagawa said. In the consumer arena, shiny designs and the low-cost of Chromebooks are an attraction, but as in the business world, few people are buying them as Windows PC replacements. Consumers -- especially in the U.S. -- are warming up to Chromebooks and the web-based usage model, but turn to Windows for demanding or offline applications. "There were a lot of Chromebook returns at the beginning, but that has ended now. People understand it," Kitagawa said. Google is adding interesting features like the ability to run Android apps on Chromebooks, but it is yet to be seen whether that will have an impact on buying patterns. Acer, HP and Dell are among the top Chromebook vendors, Gartner said.